Let’s PUT YOUR ARMS UP IN THE AIR! NIVEA has the right product to give you healthy, evenly-toned and fresh-smelling skin. Introducing NIVEA Anti-Perspirant Whitening Happy Shave! Skin at the underarms tend to appear dark, dull, and rough because regular shaving leads to skin damage and irritation, as well as symptoms such as redness, itchiness, and burning sensations. 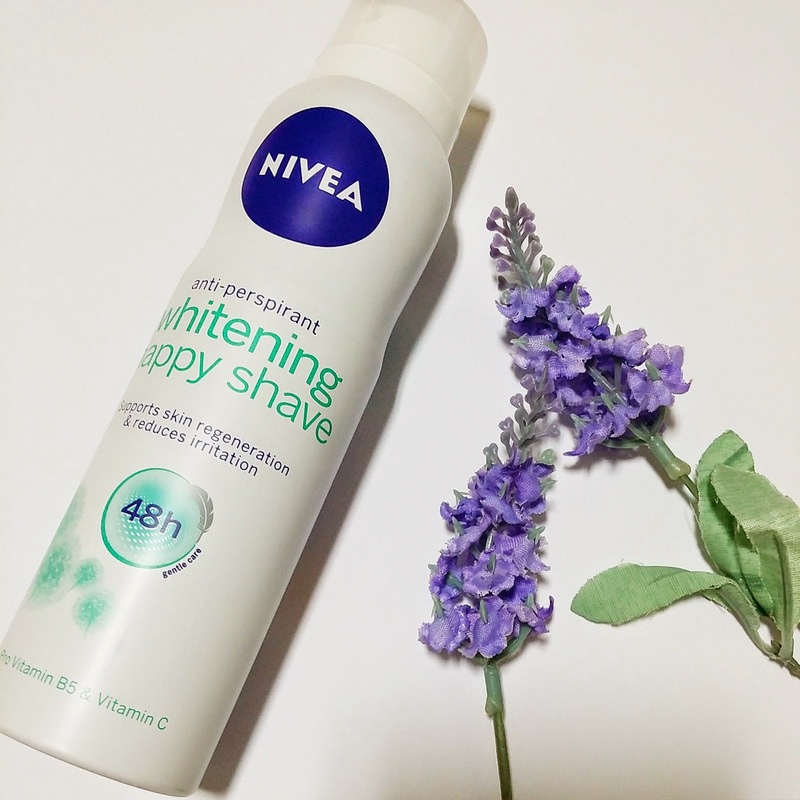 NIVEA Deodorant Whitening Happy Shave has a floral, fruity scent of green apple, peach, lily of the valley and jasmine. $4.90 for 50ml, and in a spray format for $9.10 for 150ml. tightening pores – with visible improvements in just two weeks. Available at Guardian, Watsons, Cold Storage, NTUC FairPrice outlets and other major retail stores. You may redeem their FREE sample of NIVEA Happy Shave on SampleStore.com here: http://samplestore.com/catalog/product/view/id/2213/0/name-nivea-whitening-happy-shave to receive the brochure in order to participate in the Instagram contest. Do participate I am Confident! Are You? 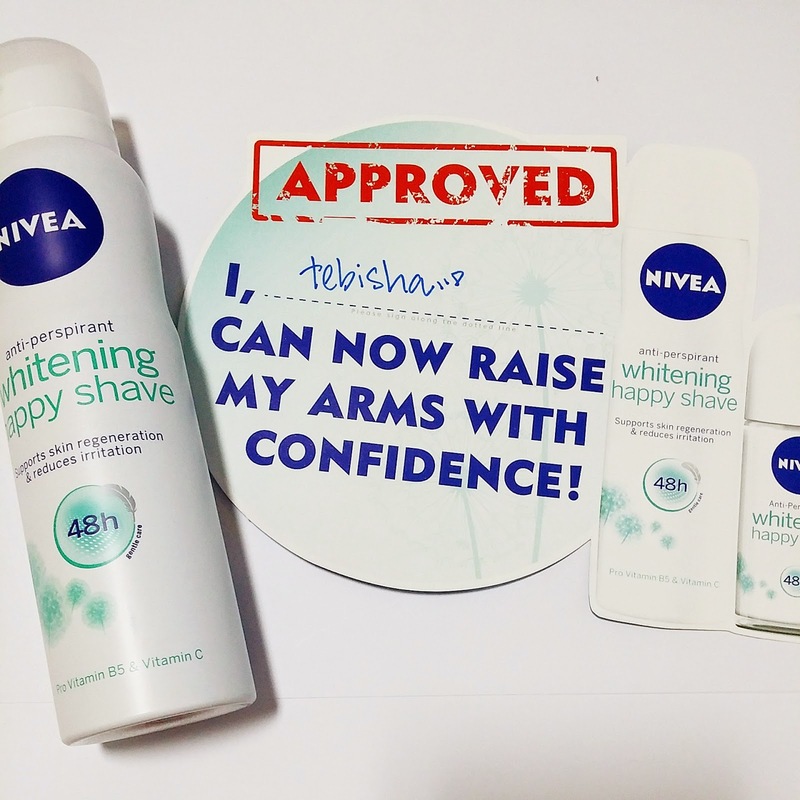 2. Review on what personal situation you can raise your arms with confidence now that you have used NIVEA Happy Shave. 3. Instagram your photo with #NIVEASG #NIVEADEOSG #HAPPYSHAVE and stand to win! Grand Prize winner with the Best Review WINS shopping vouchers worth $400! 2 Consolation winners will WIN NIVEA hampers worth $100 each! Contest will commence from 26 Sept to 30 Oct 2014!